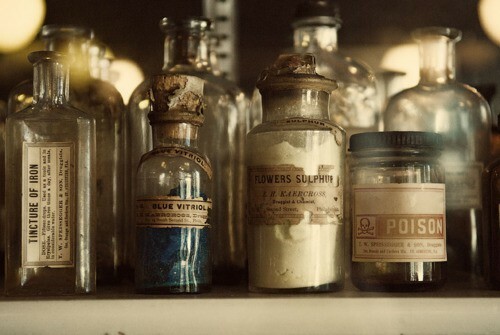 One of the most delightful and satisfying things about writing a historical novel (well, sorta historical if the Victorians had taken a step to the left and discovered luminferous aether) is research. The first thing I did when I decided to write Gilded Scarab as a steampunk world was cheer and rub my hands together, before rushing off to read up on steampunk’s history, on the steampunk aesthetic, on coffee making, on anything I could think of. I listened to steampunk bands, even, and discovered a new fannish love in Steam Powered Giraffe. When it came to Gyrfalcon, I was looking up such wonderfully esoteric things as interferomatic dispersion, what actually happens if an airlock blows out in a vacuum, and sketching out on paper how the Gyrfalcon’s hangars and launch tubes work. I love research. Partly for its own sake, because I find it innately satisfying to learn when women athletes were first allowed into the Olympics (the second modern Olympiad in 1900 in Paris, as it happens) or how a naval flag office works. But mostly because it helps me visualise and describe the worlds I’m building, and because those worlds are stronger and more vivid from the details I’ve been able to add to them. One of my favourite finds sadly didn’t make it into the pages of The Gilded Scarab, but I’m sure that I’ll be able to squeeze something into the follow up book when I start writing it (hopefully, next month. I’m almost finished the fourth Shield book, and The Dog That Swallowed Millions is next on the to do list). My dearest relative of the older generation was my great aunt, Caroline Edith Winter. She was very dear to me and I miss her terribly, even though she’s been dead for very many years now. I don’t have a lot of her possessions, because Auntie Carrie was never very rich in material things, but I do have a large, A3 size hardback book full of recipes, that she collected from a very young age. It dates back to pre-World War I. 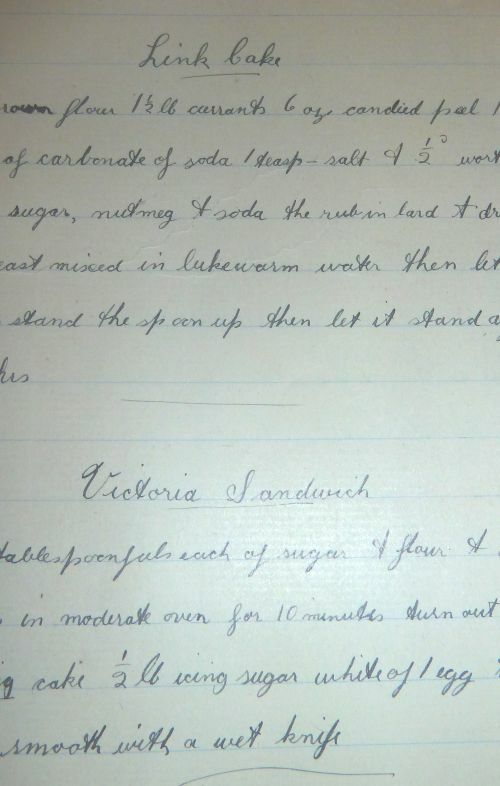 It has recipes for everything you can imagine, hundreds of them, written in copperplate (as you can see-points upward). Pork cutlets, ‘cheap’ pudding, ‘A Good Cake’, home-made lemonade, ginger snaps and Anzac biscuits—this last one a tribute from the war when we Brits were awed by the courage and loyalty of our Antipodean cousins fighting in Flanders for us. If anyone wants the recipe, yell out, although I have to warn you it lacks precision and I hope you know better than I what a ‘moderate oven until done’ means. And it has recipes for cough mixture, a remedy for diarrhoea, liniment for pneumonia cases, choleria drops, a remedy for rheumatism. Recipes for ‘Cheap Boot Polish’, and mixtures to prevent falling hair or grey hair. And even recipes for making fake gin, whiskey (so spelled!) and rum, which are odd given she was a lifelong teetotaller. It is a delightful book. I can promise you that when he gets to Aegypt, Rafe is going to be grateful for her remedy for intestinal disturbances. And for the boot polish and cough mixture. But he draws the line at fake spirits. He wants the real thing. In the meantime, here’s a recipe or two to amuse you. Good luck with buying the ingredients and avoiding the attention of the local Drug Squad. Mix together. Shake well before use. 1 teaspoonful 2 times a day. 2 drachms each of tincture of rhubarb, laudanum, essence of peppermint, spirits of camphor, cayenne tincture. Dose: from ½ a teaspoonful to one spoonful in well-sweetened hot water. 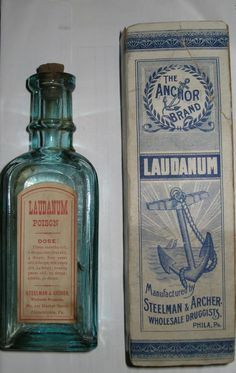 I suspect with the last, if it didn’t stop your diarrhoea, with that much laudanum in it, you’d sleep through the worst anyway. Next Woot! Heart Scarab is on the way! We are kindred spirits when it comes to research (as we discovered in Seattle). I love looking for information as much as–if not more–than finding it. I’ve been known to drive 200 miles out of my way to follow a historical marker for some esoteric event in history.